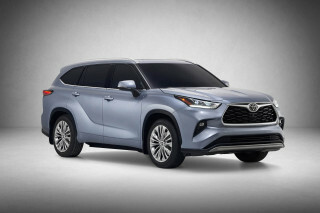 The compact crossover has in recent years become the go-to vehicle format for frugal families, and it’s largely replaced the mid-size sedan when it comes to workaday parental tasks like bringing the kids to school, practice, and play. Yet this class has been devoid of hybrid offerings. With the discontinuation of the Ford Escape Hybrid a few years ago, there hasn’t been anything, in fact; but that’s slated to change with the introduction of the 2016 Toyota RAV4 Hybrid late this year—and, perhaps, next year with the introduction of a 2017 Nissan Rogue Hybrid. It's a model that's not yet confirmed, officially, for the U.S. market, yet it's one that's still waiting in the product pipeline—and likely for the 2017 model year. The U.S. Rogue is quite closely related to the Japan-market X-Trail—which is already on sale in X-Trail Hybrid form, with the latest version of the hybrid system that could potentially be headed for the U.S. And based on a short, half-hour-long driving loop around downtown Yokohama late last month, just after the Tokyo Motor Show, we managed to get a feel for how a Rogue Hybrid might feel if it were to be brought Stateside. 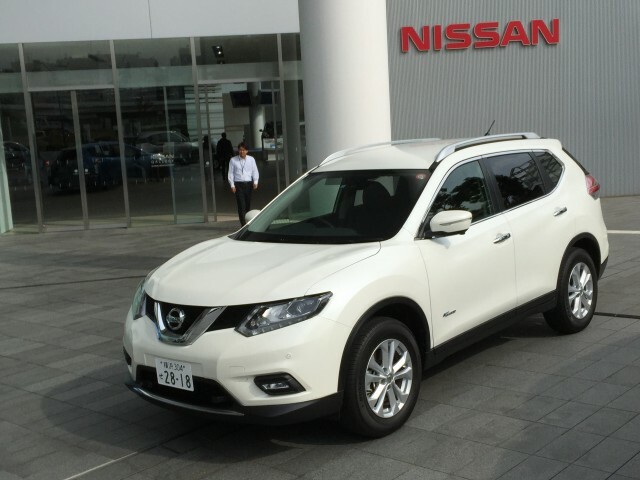 The X-Trail Hybrid incorporates a version of the hybrid system used in the Nissan Pathfinder Hybrid, with a continuously variable automatic transmission (CVT) plus an Intelligent Dual Clutch Control system allowing the electric motor alone to move the vehicle under some conditions. 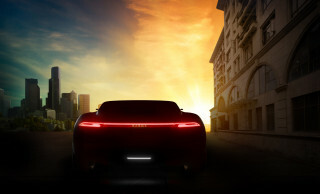 The e-motor system supplements an eco-tuned 2.0-liter four-cylinder engine, making 145 hp and 153 pound-feet of torque. And Nissan says that with the e-motor, the 2.0-liter four produces more torque throughout the range than its widely used 2.5-liter four. In the Pathfinder Hybrid, we found real-world mileage to be quite disappointing. Yet here, because of the stronger 30-kW motor (versus just 15-kW in the Pathfinder) making a maximum 118 pound-feet of torque, plus a much lighter vehicle otherwise, there's greater promise as it seems possible for a significantly wider range of electric-only operation. And that’s exactly what we observed. We noted electric-only operation at up to around 45 km/h (28 mph) under steady-state, mostly level conditions—and we observed the gasoline motor, as with the Pathfinder and its cousin, the Infiniti QX80 Hybrid, detaching and powering down, at higher speeds. The high point of the driving experience with this system is that you can actually feel the contribution of the electric motor in transitory response—when you go to press the accelerator a little bit more to ease past a car in an adjacent lane, for instance. It helps erase the delay in power delivery that we’ve seen with many of Nissan’s four-cylinder CVT applications in this situation. And if you're very gentle with it, you can launch the car from a standing start only with the electric motor system. On the other hand, there is still a significant delay if you ask for a quick, all-out passing maneuver; then it actually feels sluggish. The low point of the driving experience was the regenerative braking, which still felt at odds with the CVT system’s torque-converter coordination in the last five mph or so of deceleration. Nissan doesn’t publish the capacity of the lithium-ion battery in the X-Trail Hybrid; but it doesn’t involve any significant packaging alterations over the standard X-Trail. One serious positive with this Hybrid system is that it doesn’t bring a massive weight gain. 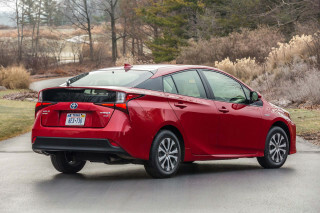 The Hybrid, at 3,454 pounds, only weighs about 300 pounds more than the non-hybrid model. X-Trail Hybrid gets low-rolling resistance Nexes tires plus special underbody panels, and it adds some special energy-monitor display screens for the infotainment system. Will we see the 20-percent gains Nissan has hoped for? 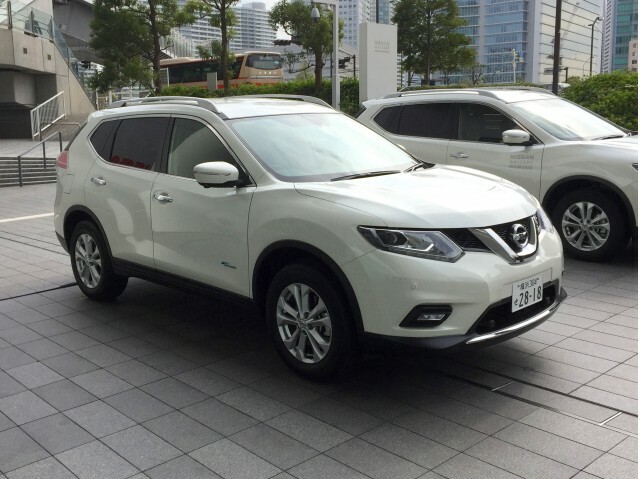 Currently, the best EPA fuel economy figure for the 2016 Rogue is 26/33 (28 Combined) in front-wheel-drive form. If you look at what this system has done in the Pathfinder, it improved city mileage by about 25 percent and highway mileage slightly. With the stouter motor system, we're expecting to see an improvement closer to the 20-percent combined-cycle gains that Nissan promised in the earlier stages of this system. Nissan claims a fuel economy of nearly 49 mpg in the Japanese driving cycle, but those are generally very optimistic figures compared to what we’ll see in the U.S.—or relative to where the EPA numbers land. According to Nissan, it results in a 75-percent reduction of NOx (nitrogen oxide) and NMHC (non-methane hydrocarbon) emissions over both 2005 standards and SULEV certification. 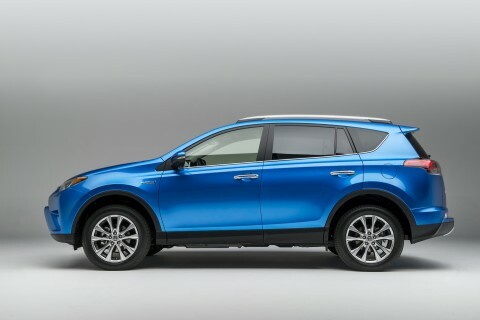 The top rival for the Rogue Hybrid will definitely be the 2016 Toyota RAV4 Hybrid. Although we haven't driven it yet, the RAV4 Hybrid could end up feeling quite a bit perkier than the Rogue Hybrid, as it features a 154-hp, 2.5-liter four paired with a 50-kW electric motor system—which in all-wheel-drive versions places an additional motor at the rear wheels (with no mechanical connection back to them from the gasoline engine). Toyota already claims that it's about a second quicker in accelerating to 60 mph than the standard RAV4; we searched for a performance number for the X-Trail Hybrid in Nissan's international spec sheets and couldn't find one for comparison. It’s part of Nissan’s aim to raise the U.S. Rogue to a 300,000 annual sales level. Automotive News also reported earlier this summer that while the Rogue Select, a version of the previous-generation Rogue, will be dropped from the lineup, the U.S. market will get a version of the European-market Qashqai—a somewhat smaller (and more attractively styled, we think) five-seater that’s closely related but about 10 inches shorter, with a two-inch-shorter wheelbase.